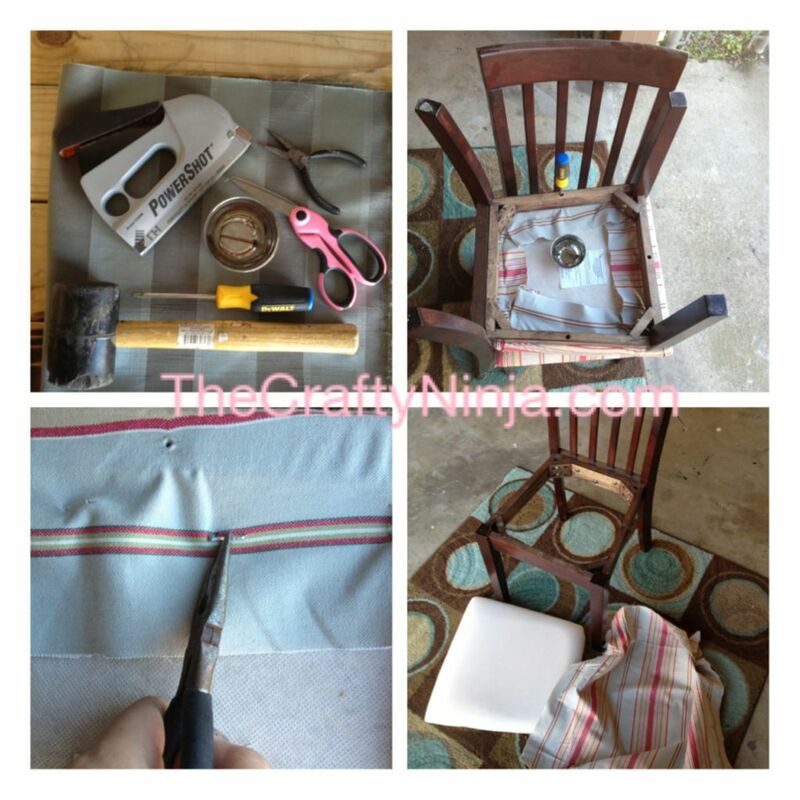 I’m doing a tutorial on How to Reupholster your chair to bring back life to an old chair or fabric you don’t like without going over your budget. Check out my Before and After at the bottom! I only reupholstered two chairs to reuse in the office. Here are my step-by-step instructions with detailed pictures. 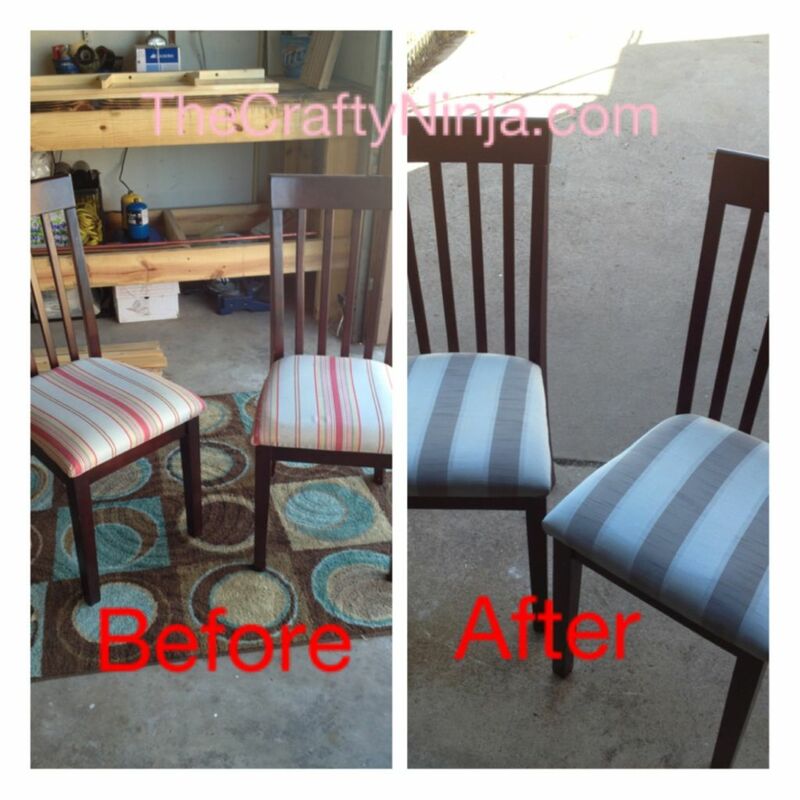 Hopefully you can follow along with my instructions and can help you with your reupholstering project. Supplies needed: Staple gun, Pliers, Cup to hold the screws, Screw driver, Mallet, Scissors, and 3/4 yards of Upholster Fabric, purchase from Hobby Lobby. I worked on a rug so I didn’t scratch the chairs. Some chair seats pop up easily but these chairs were screwed in. I turned one of my chairs on top of the other to work on a flat surface to get the screws out using a magnetic screw driver, I put each screw in a cup so I wouldn’t lose any. Once I got the seat cushion out I used my pliers to pull out the existing staples. I took off the fabric and made sure to throw away all the staples. I laid the seat cushion facing down on top of my new fabric and trimmed it to make sure I had about a 4 inch border around the cushion. I also made sure the strips in the pattern were even spaced out on the cushion. Pulled the fabric over and added one staple in the middle of the cushion on all four sides as I pulled down the fabric to tighten. 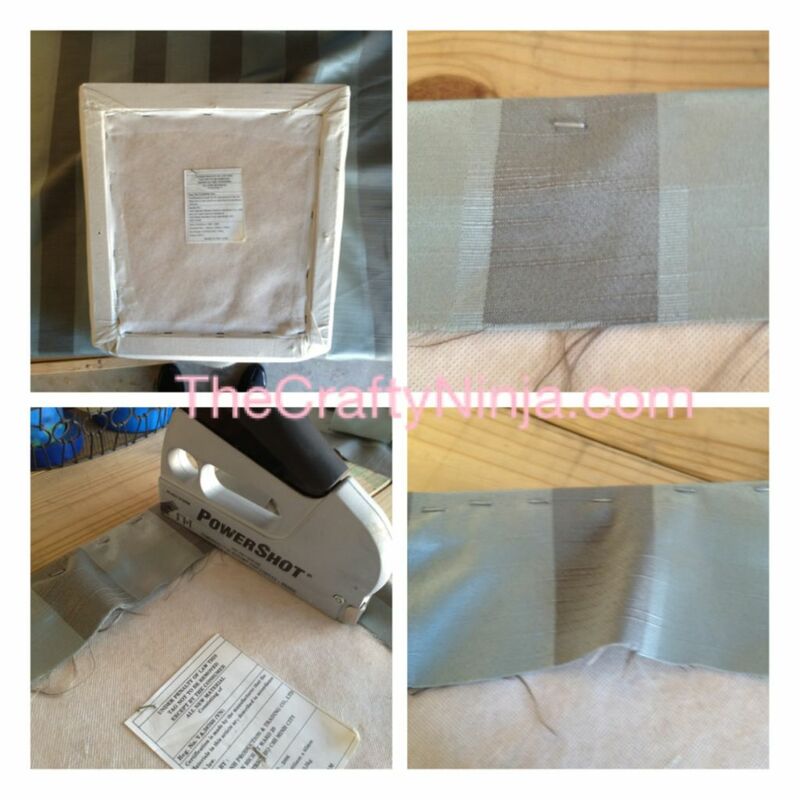 Once I had four staples in on each side, I started on one side and stapled from the middle to the right edge then repeated on the other side from the middle to the left edge, make sure you are pulling the fabric tightly. If any of the staples were high I used a mallet to tap them down. I turned my cushion and repeated stapling from the middle to the edge until all four sides were stapled. I trimmed extra fabric off the corners so it would be easier to fold. 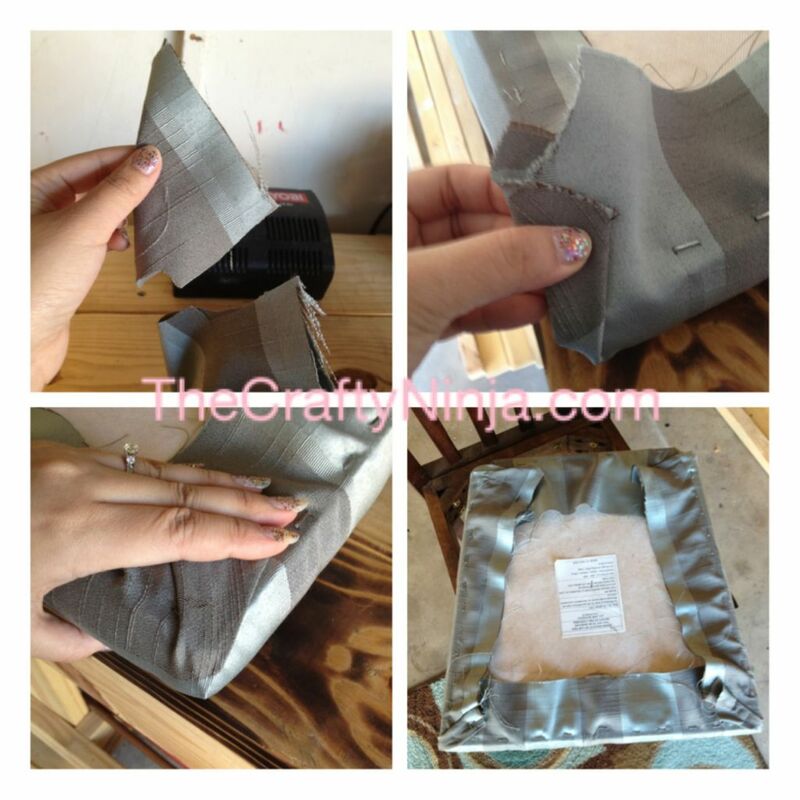 The ends were like wrapping the ends of a present, fold over once and lay it down flat to staple. I had to fold over several times to get any wrinkles out and until I was satisfied with the outcome. Once satisfied staple the corners downs. Screw the cushion back in and your done!